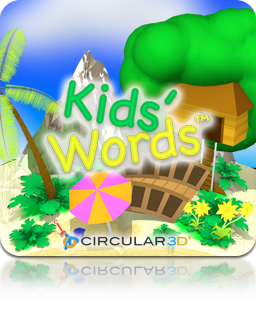 Kids' Words is an educational game for children learning to read and write. This app is a must-have for parents and teachers wishing to immerse their kids in a fun and engaging learning experience! Kids are presented with 10 words per word set and must choose the correct letters to complete the word. Each word is recited both before and after a spelling attempt. There are 150 words with full audio! Parents and teachers can follow each of their kids' progress through our beautifully crafted report cards. Scores are useful for determining areas and words that the child struggles with the most. Do not be afraid to practice with your child! You can mute the instructor's voice in the game screen at any time and provide your own instruction to your child. Get our app on the App Store℠ today! Be sure to connect with us on Facebook® and visit our Official Fan Page.